You are here: Home » Nominate Your Favorite, Beer, Brewery and Book on About.com. Wait, What’s a Book? Nominate Your Favorite, Beer, Brewery and Book on About.com. Wait, What’s a Book? Seriously, how can you say "no" to such a well-groomed goatee?! and he has asked us to get the word out about the Beer portion of their Reader’s Choice Awards. We’re happy to help get the ball rolling and make sure the turnout is strong. After all, we don’t want craft beer to look unpopular – THAT’S BAD! 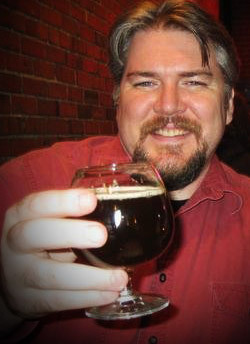 Please pitch in and show the world (and the folks who run about.com) that beer geeks can play nice, too. Head over to the nomination page and share your favorite beer, brewery, brew pub and beer book from 2010. I wonder if “Goodnight Moon” counts? Anyway, it only takes a second and it’s a fun way to support your favorite brewers and beers. And yes, I know we’re against lists that name “best beers,” but this is a voting thing and Bryce is a good geek. I mean guy. Bryce is a good guy. Go already! ← Are You Ready for Whiskey in a Can? Don’t you mean Goodnight “Blue” Moon?